Syngene is a world leader in gel documentation and analysis systems. These range from low cost entry level kits to fully computer controlled automatic analysers for fluorescence, chemiluminescence and proteomics workstations. Syngene also manufactures imaging systems for the capture and analysis of TLC plates. The G:BOX iChemi series of gel documentation systems offers a range of camera, lighting and filter options to cover all applications. The innovative design gives the user an incredible array of configuration choices. There are 4 basic configurations of CCD camera. 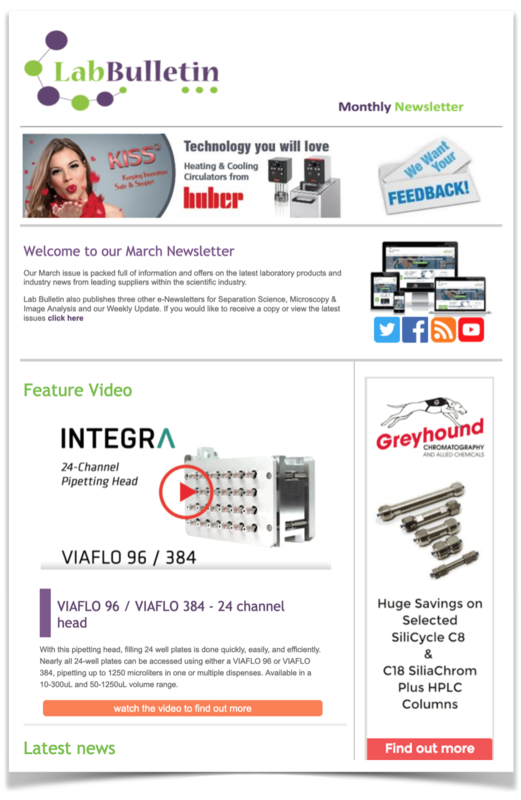 This ensures that there is a G:BOX iChemi to suit all budgets and all applications. 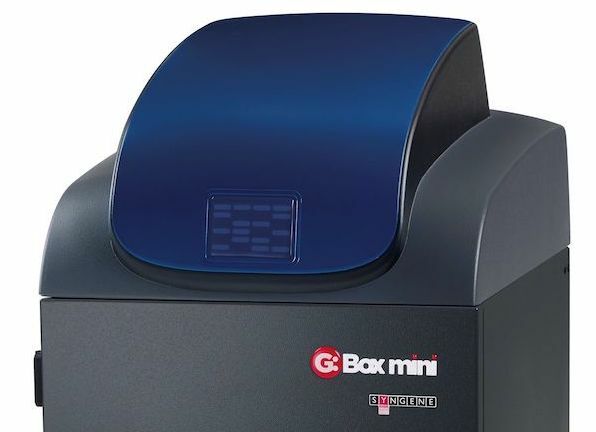 The new G:BOX iChemi systems intelligently assess a sample and then automatically set the optimum exposure time and sensitivity settings to obtain the very best image possible. Further improvements to the scaling of the samples also ensure optimum display settings giving images of superb and outstanding quality. In summary, the G:BOX iChemi is the perfect system with performance to match. Choose from the four basic configurations and simply add any options you need. The G:BOX series of gel documentation systems offers a range of camera, lighting and filter options to cover all applications. The innovative design gives the user an incredible array of configuration choices. There are 2 basic configurations of CCD camera from lower cost standard resolution up to the latest mega pixel option. This ensures that there is a G:BOX to suit all budgets and all applications. The modular design also allows the choice of optics with either motor driven or manual lenses, manual or computer driven filter selectors and a range of lighting options for both reflected and transmitted light applications. In summary, the G:BOX is the perfect system with performance to match. Choose from the two basic configurations and simply add any options you need. GeneGnome HR is a dedicated high performance bio imaging system for chemiluminescence applications. GeneGnome HR completely automates the process of imaging chemiluminescent samples. It provides superbly accurate results and is extremely easy to use, thanks to new, unique image analysis algorithms and powerful imaging hardware. No other instrument even comes close to GeneGnome's ability to image and produce an analysis of the most complex chemiluminescent filters. GeneGnome is packed with novel features to ensure that any chemiluminescent blot can be processed quickly and easily. The InGenius range of gel documentation systems are compact and easy to use. Two models are available, each with their own innovative and safe darkrooms. Camera choice enables pixel resolution to range from 0.3 million - 5.5 million pixels. They are cost effective because they offer so many different options to enable you to image a wide range of fluorescent stains. Dyversity is designed for the rapid generation of 2D protein gel images and features a high resolution, 16-bit CCD camera inside a computer-controlled darkroom. This camera offers unrivalled separation of the highest density of protein spot images and can capture faint spot images guaranteeing imaging accuracy which is comparable to many expensive laser based scanning systems. The versatile Dyversity system has a motor driven sample stage, manual lens and can be fitted with a range of filters, UV and visible lighting options to allow imaging of all commercial 2D protein stains including Coomassie Blue, silver stain, SYPRO® Ruby, Pro-Q® Diamond, Deep Purple™. With an optional lighting module it is also possible to image gels stained with Cy™2, Cy™3 and Cy™5. The high-quality 2D gel images produced by Dyversity can be easily downloaded for rapid analysis into Dymension, Syngene's powerful 2D gel image analysis software. These compact systems are an excellent choice for cost-conscious scientists who need versatile gel doc imagers and simple-to-use chemi blot imaging systems. For scientists wanting a complete workstation, the NuGenius is the ideal gel doc. This powerful system features an internal processor and 5 million-pixel CCD camera with motor driven zoom lens, guaranteeing incredible at-system image capture with gels of up to 20cm x 24cm. Syngene is delighted to announce its GeneSys software has been upgraded to include QuickQuant, a new feature for rapid band quantification analysis on blots or gels. Syngene is delighted to introduce its new GeneGnome XRQ, a dedicated chemiluminescence imaging system designed to rapidly and accurately image chemiluminescent Western blots. Syngene has announced its G:BOX Chemi XRQ multi-application imager is being used in the School of Biochemistry at the University of Bristol to rapidly generate more accurate images of extracellular matrix (ECM) proteins associated with fibrosis, angiogenesis and wound healing. Syngene, a world-leading manufacturer of image analysis solutions, is delighted to introduce its NuGenius+ gel imaging system. Syngene has announced its G:BOX Chemi XX6 multi-application imager is being utilised by scientists at a top University in Germany to speed up analysis of genes and proteins associated with neurodegenerative conditions. Syngene, a world-leading manufacturer of image analysis solutions, is pleased to announce its G:BOX Chemi XX6 multi-application imager is being utilised by scientists at the University of Warwick to rapidly and accurately analyse how Gram positive bacteria react to stressors. Syngene, a world-leading manufacturer of image analysis solutions, is delighted to announce the new range of imaging systems will be on Stand 140 at ARABLAB 2017 on March 20th-23rd. Syngene, a world-leading manufacturer of image analysis solutions, is delighted to announce its GeneSys software has been upgraded to include an icon of pre-set optimised “stain-free” protein gel imaging conditions. Syngene, a world-leading manufacturer of image analysis solutions, is pleased to introduce its powerful, NuGenius gel imaging system, the first in the world to be run by a Raspberry Pi computer. Syngene, a world-leading manufacturer of image analysis solutions, is pleased to introduce the powerful, NuGenius gel imaging system. Syngene, a world-leading manufacturer of image analysis solutions, is pleased to introduce a new Dynamic Fielding feature in its GeneSys image capture software. Syngene, a world-leading manufacturer of image analysis solutions, is pleased to introduce its UV-Blue Light Converters Screens which can quickly and simply change harmful UV into blue light. Syngene, a world-leading manufacturer of image analysis solutions is delighted to announce that the G:BOX Chemi XRQ high resolution, multi-application image analysis system is being successfully used at the Lithuanian University of Health Sciences Academy of Medicine to study molecular mechanisms of cardiac stem cell function which could help in developing stem cell therapies for heart repair. Syngene, a world-leading manufacturer of image analysis solutions is delighted to announce it has appointed AlphaMetrix Biotech and LTF-Labortechnik as its new distributors in Germany. Syngene, a world-leading manufacturer of image analysis solutions is delighted to announce the appointment of Matthew Dunne, as its new International Sales Manager. The imaging systems on display will suit all budgets and make producing amazing gel and blot imaging results incredibly simple. Syngene, a world-leading manufacturer of image analysis solutions, today announced its G:BOX Chemi XX6 is being used by scientists at Northumbria University for imaging chemiluminescent enzymes and other proteins on Western blots. Syngene, a world-leading manufacturer of image analysis solutions today introduced the new PXi Access range of compact, multi-application imaging systems. Syngene is delighted to introduce the vibrant new T:Genius imaging system, which unlike any other imager on the market, allows high performance, walk-away imaging of gels and blots on a smartphone or tablet. Syngene, a world-leading manufacturer of image analysis solutions, today announced its new G:BOX Chemi XX6 is being used by scientists at the Karolinska Institutet for multiplex imaging of IR fluorescent viral proteins on Western blots. The PXi Touch imaging system is being used in a new application by scientists at the UK’s University of Cambridge to visualise multiplex fluorescent and chemiluminescent labelled proteins on the same Western blots. This is contributing to rapidly providing researchers there with more accurate and reproducible results. Scientific Digital Imaging’s [SDI’s] Syngene Division, a world-leading manufacturer of image analysis solutions is delighted to introduce the new high sensitivity G:BOX Chemi XX6 and XX9 image analysis systems. Scientific Digital Imaging’s [SDI’s] Syngene Division, a world-leading manufacturer of image analysis solutions is delighted to announce that the lighting and filter conditions in the G:BOX image analysis system have been optimised to allow faster, safer visualisation of proteins on stain-free gels. Technical specialists at Syngene tested filter and lighting conditions in a G:BOX XR5 image analysis system to accurately image a range of proteins (2-300ng) run on a Criterion TGX Stain-Free gel. For optimum imaging performance, the gel was exposed to 5 minutes of mid wave UV (302nm) on a UV transilluminator and the gel was imaged using a UV filter and an exposure time of 2 seconds. The gel was then stained with ProtoBlue Safe and imaged again. Syngene, a world-leading manufacturer of image analysis solutions is delighted to announce that one of its G:BOX Chemi imaging systems is being used at the Wageningen UR (University & Research centre) to visualise and analyse bacterial proteins as part of a research programme to understand the molecular mechanisms behind bacterial immune systems. Scientists in the Neurosciences Group at the Department of Veterinary Medicine, part of the University of Cambridge are using a G:BOX XR5 system to accurately image gels of fluorescent dye stained PCR products derived from genes involved in the remyelination process. By studying these genes, the scientists hope to find a means of enhancing the repair of normally non-repairable clinical conditions such as MS.
Syngene Gel Doc System used at Prestigious US Technology Institute To Safely and Rapidly Analyse DNA Mar 23, 2011 Syngene, a world-leading manufacturer of image analysis solutions, is proud to announce a Syngene gel documentation system is being used at the Massachusetts Institute of Technology (MIT) in the USA to image gels quickly and safely. Researchers in the Department of Biological Engineering at MIT are regularly using a Syngene gel documentation system to accurately visualise, quantify and record images of DNA on 1D agarose gels fluorescently stained with SYBR® Safe from Invitrogen. World Premier of Revolutionary Applications Driven Image Analysis Range at ArabLab 2011 Feb 9, 2011 Syngene, a world-leading manufacturer of image analysis solutions is delighted to announce its new G:BOX range, designed to make imaging all types of gel or blot quick and easy, will be on show for the first time on Stand 146 at ArabLab 2011, in the Dubai International Convention Centre on March 7th-10th. New GeneSys Software Revolutionises Gel Documentation With Rapid Set-up and Image Capture of 1D, 2D and Multiplex Gels Jan 16, 2011 Syngene, a world-leading manufacturer of image analysis solutions is delighted to unveil its revolutionary new GeneSys image acquisition software. Developed for use with Syngene's G:BOX and Dyversity systems, GeneSys ensures scientists can quickly capture excellent images of even complex multiplex gels. New UV Shadowing Application of G:BOX Image Analyser Is Providing Accurate, Safe Analysis of DNA without using Labels Jan 14, 2011 Syngene, a world-leading manufacturer of image analysis solutions, is delighted to announce its G:BOX image system is being used at the University of Southampton for a UV shadowing technique to detect unlabelled DNA, enabling scientists there to safely analyse a range of different oligonucleotides. 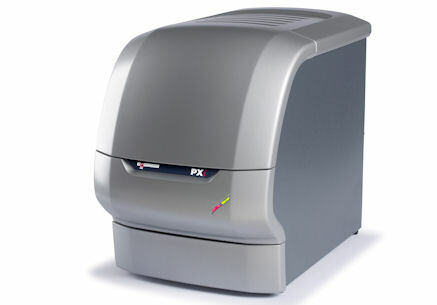 NEW Generation G:BOX Range will Lead the Gel Image Analysis Market Nov 17, 2010 Syngene, a world-leading manufacturer of image analysis solutions is proud to announce its new range of G:BOX image analysis systems are now available. The systems have been completely restyled to include the latest imaging technology and new software, which guides users to their optimum filter and lighting conditions, making imaging all types of gel or blot quick and easy. G:BOX Chemi XT Analyser at Major Cancer Research Centre Oct 26, 2010 Syngene, a world-leading manufacturer of image analysis solutions, is delighted to announce its G:BOX Chemi XT imaging system is being used by scientists at The Institute of Cancer Research (ICR) in London to help understand the cellular basis of how tumours develop and progress. Major Molecular Medicine Centre uses G:BOX iChemi XT Image Analyser To Accurately Identify Proteins that Impact the Pathology of Muscular Dystrophy Oct 25, 2010 Syngene, a world-leading manufacturer of image analysis solutions, is pleased to announce its G:BOX iChemi XT imaging system is being used by researchers at a centre of excellence in the University of Portsmouth to help determine the molecular basis of life threatening disease, Duchenne's muscular dystrophy. New GENi System Extends Syngene’s Gel Documentation Range Aug 31, 2010 Syngene, a world-leading manufacturer of image analysis solutions is delighted to introduce GeNi, an affordable, fully motorised gel documentation system. This innovative system is the only one in this price class to generate true 16-bit, publication quality images of fluorescent and coloured DNA and protein gels. Top Analytical Testing Company Uses G:BOX Imaging System to Quickly Verify Meat and Fish Content of Food Jul 26, 2010 Syngene, a world-leading manufacturer of image analysis solutions, is delighted to announce its G:BOX EF gel documentation system is being used by a major European analytical testing company for rapid authentication of food contents. 100th Syngene image analyser in Singapore is the 11th Syngene system to be installed at one of Asia’s top universities Jul 19, 2010 Syngene, a world-leading manufacturer of image analysis solutions, is pleased to announce that it has installed its 100th image analysis system in Singapore at the prestigious National University of Singapore (NUS). The new G:BOX system will be used alongside the 10 other Syngene analysers purchased by the University since 2001, to accurately and safely analyse DNA and RNA. Syngene’s 2D Image Analysis Systems Being Used in Critical Research Jun 18, 2010 Syngene, a world-leading manufacturer of image analysis solutions, is delighted to announce its Dyversity 2D image analyser and Dymension 2D analysis software are being used at US biopharmaceutical company, the Burzynski Research Institute (BRI), to determine the molecular effects compounds have on brain tumours. University of York uses G:BOX Imaging System As Cost-effective Method of Assessing Protein Expression Jun 1, 2010 Syngene, a world-leading manufacturer of image analysis solutions, is delighted to announce a G:BOX chemiluminescence imaging system is being used at the University of York as a fast, affordable method to determine expression of a wide range of proteins on chemiluminescent Western blots. Syngene Image Analyser Used at One of World’s Top Universities To Help Determine the Molecular Mechanisms of Sight May 19, 2010 Syngene, a world-leading manufacturer of image analysis solutions, today announced its G:BOX iChemi XR imaging system is being used by scientists at the University of Cambridge to help unravel the molecular basis of sight. Versatile Dyversity System at Leading European Cancer Research Centre Rapidly Analyses Fluorescent and Chemiluminescent Proteins with Ease May 5, 2010 Syngene, a world-leading manufacturer of image analysis solutions, is pleased to announce its Dyversity multi-application image analyser is being used by scientists in The Cancer Research UK Cambridge Research Institute (CRI) at the University of Cambridge, one of Europe's major cancer research hubs, to accelerate the pace of research on proteins and DNA associated with a variety of different cancers. Syngene, a world-leading manufacturer of image analysis solutions, is pleased to announce its G:BOX EF gel documentation system is being used by scientists in a prestigious plant breeding centre at Aberystwyth University in Wales to help map the DNA and RNA from commercially important forage crops. Major US University uses GeneGnome for Six Years In Important Academic Study to Elucidate Mechanisms of Cell Division Dec 11, 2009 Syngene, a world-leading manufacturer of image analysis solutions, is delighted to announce its GeneGnome dedicated chemiluminescent imaging system, has been used since 2003 to help successfully study the role of proteins in cell division. University of Lausanne uses Dyversity for analysing triple labelled DIGE gels to help rapidly identify proteins associated with neurodegenerative diseases Dec 8, 2009 Syngene, a world-leading manufacturer of image analysis solutions, is delighted to announce that its Dyversity 2D imaging system is being used by one of Europe’s leading research institutes, the University of Lausanne in Switzerland, to help identify proteins associated with neurodegenerative diseases.